I was playing around with Luxe a bit, experimenting and getting the hang of it while making a simple game. I realised I needed a gradient for the game, and adding an image with the gradient would be a waste of resources, so I coded a gradient component. It's fairly simple to use. You create a Sprite, with the size, position and everything you want. 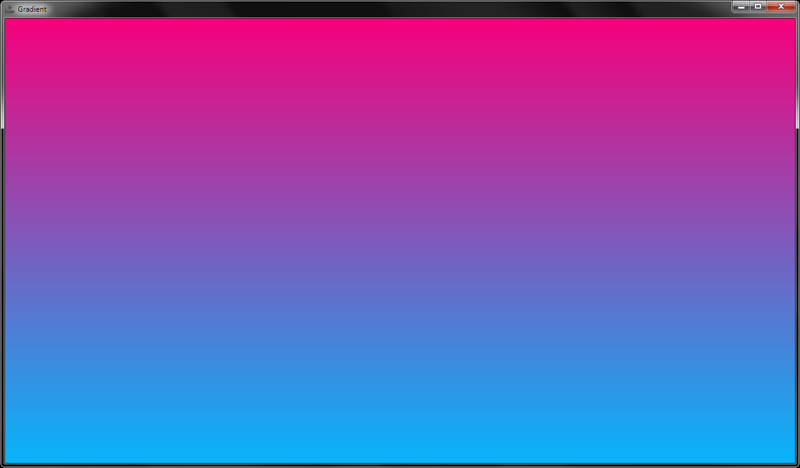 Then, you assign it the Gradient component. You can configure the colorA and colorB of the gradient, as well as the direction, which can be either Vertical or Horizontal.